©2017 Anthony G. Jay, Ph.D. (P)2017 Anthony G. Jay, Ph.D. The voice changing between an older deep South guy who reads out the chapter titles to Anthony reading the chapters themselves was quite jarring and also confusing. 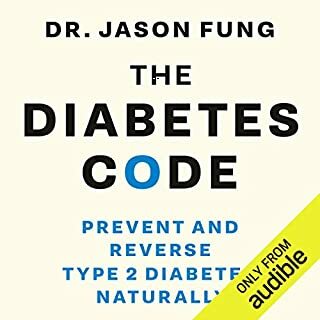 The content of the book itself is quite good but with the above and also a few recording issues I could hear in this audiobook (there is one time where is sounds like Anthony had dropped a marble or pen or something and it is heard bouncing off the table) made it hard to get entirely engaged. Would you listen to Estrogeneration again? Why? 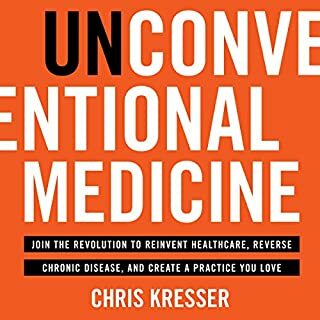 I rarely/never say "I would listen to a health/science/wellness audiobook again" but in this case it's different. The craft of this book is amazing! 3 Parts = (1) identifying artificial estrogens and where they are (it's WORSE than you think! 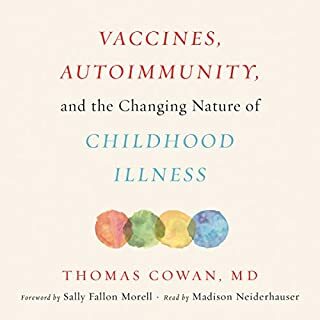 ), (2) illustrating major health problems with over 500 excellent scientific references - I bought a paperback version of this book because I wanted to utilize some of those references for my podcast I host (3) showing how obesity, breast cancer, and infertility can be PASSED to future generations AND explaining in detail how to avoid these estrogenics using Gold, Silver, and Bronze Level avoidance plans. What was one of the most memorable moments of Estrogeneration? The study showing polar bears, whale blubber, and sea otter brains have high levels of parabens - because these estrogenics are circulating around the globe and causing major health problems in wildlife species, just like they do in humans - was the most eye opening thing I've seen in a long time. This stuff should be front page news but it seems that corporations are burying the information because they make loads of money on these artificial chemicals. I thought the author, Anthony Jay, did an incredible job illustrating the bias and spin within professional science. It was not angry or bitter, just saying calling a spade a spade. Basically, all of Chapter 3 of Estrogeneration was about this scientific spin. It included, btw, quote from the amazing Marcia Angel, whose books I recommend you read. Marcia Angel was the editor of the New England Journal of Medicine and resigned after 20 years because companies were basically "sponsoring" research studies to find certain results and spin products as "healthy". Like soy. Anthony Jay does an amazing job working this all into Estrogeneration. I love how Victor and Anthony found some pristine mountain lake and caught "estrogenic-free fish". Hilarious stories. 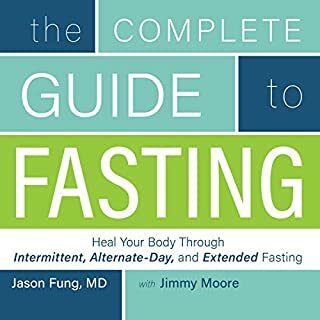 I think Dr. Jay will get a lot of "fake" negative reviews and "trumped up" bad press about this book because he shows REAL problems with SOY, BIRTH CONTROL, PLASTICS and other mega money makers. Don't be fooled. I am subscribing to his YouTube "Chagrin & Tonic" channel today and literally cannot wait until his next book comes out in this Chagrin & Tonic Series. I'm pumped. 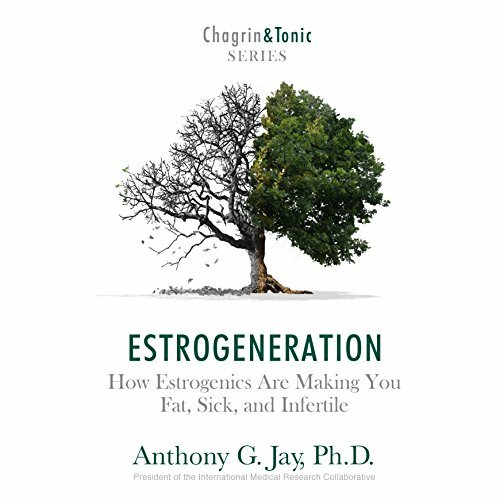 What I loved about Estrogeneration is that Anthony Jay does NOT care about corporate or political backlash. He tells the story of artificial estr0gens like. it. is. 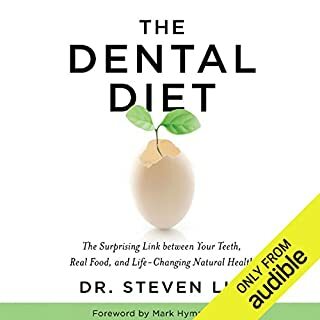 I'd listen again, not just because the audiobook has so much science I couldn't even take it all down in my EverNote, but because it was entertaining. Which character – as performed by Anthony G. Jay – was your favorite? This wasn't a novel (thank God!) but it has "characters". I would say the ANTAGONISTS were the estrogenics, the "Evil Ten". The PROTAGONIST is you, Anthony Jay and his early college life, and - most of all - your future children and grandchildren!!! 100%. 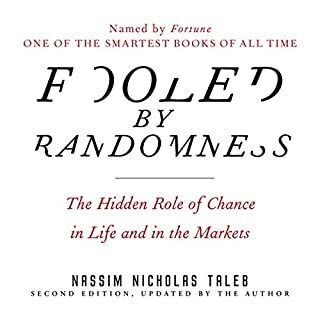 There was extremely dense information here with NO FILLER but it was fun enough I could listen to the entire book in one sitting. I tell all my friends about this book. 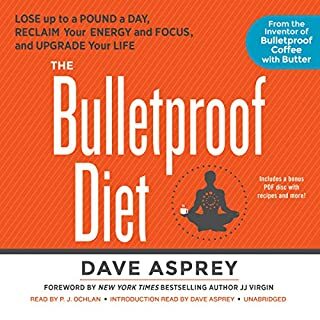 It SOLVES all of our modern diseases and the explosion of diseases like allergies (up 75% since 1980), infertility (up 100% since 1980), obesity (up 150% since 1980), AND breast cancer (up 250% since 1980). Avoid estrogenics! What other book might you compare Estrogeneration to and why? Aspects of this book compare to "Born to Run". It has a lot of fun stories that connect to the main theme, without being overly scientific. What does Anthony G. Jay bring to the story that you wouldn’t experience if you just read the book? Read his dedication. It will crack you up. It's a good example of the entire book. EXCELLENT book!! I can't say enough about how excellent this book was because the readability and the depth of information - a tricky thing to balance - done PERFECTLY HERE!!! What did you love best about Estrogeneration? I liked how this book ramped up. It started with some basic stuff and listing artificial estrogens. Then it got more and more interesting. Fat storage in WHALES from estrogen waste in oceans comes to mind.... Chapter 9 was my favorite about inheritance of health problems. I've never heard ANYTHING like this! Interesting how SOY and FLAX have more than 100,000 micrograms of phytoESTROGEN and all other plants have less than 1,000 (except may lavender and cannabis, I'm not sure). In chapter 8, it was also new to me to see how gut bacteria can break some of these more "natural" estrogens down, unlike phthalates, etc. What about Anthony G. Jay’s performance did you like? 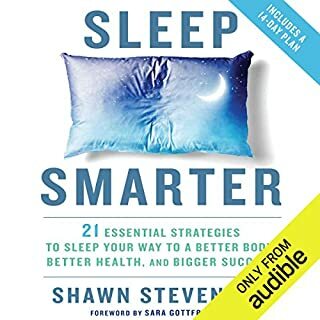 This book is PERFECT for listening, I LOVED IT!!! There is so much information here AND probably 1/10th is stories so I would DEFINITELY listen to this audiobook multiple times. I'll probably revive this book once per year or so but mostly I'm spreading the word to my friends! When I learned that FAT, CANCER, AND INFERTILITY can be PASSED TO FUTURE GENERATIONS, I was in shock. Epigenetics seems to be the future of medicine and personal health and Anthony Jay definitely has a keen insight in this area, without making it boring or getting too technical. Excellent!! Recognizing these top 10 artificial estrogens in our environment really expanded my mind. Shoot - I didn't even realize BPA was "estrogenic"! Now I understand why BPA is so terrible for our health, along with so many other chemicals!! Simple, easy to read. But this is just the start. Deep, fascinating, new, funny. I hear things like "we live to old age on average, our society must be healthy!" 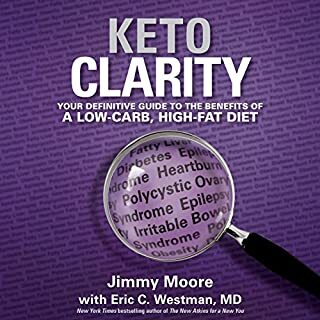 but Dr. Jay does an excellent job showing (1) 250% increase in breast cancer, (2) rises in allergies, (3) rises in infertility, (4) 33% of America is overweight, and ALL OF THESE ISSUES CONNECT TO ESTROGENICS!!! This book certainly made me LAUGH many times, which shocked me. How can you discuss breast cancer but still be tasteful AND funny? Dr. Jay can. Overall, the book was amazing, content was new and enlightening, and I appreciated that the author read the book. Dr. Jay added a lot of interesting enthusiasm and pace changes. He also has a talent for pronouncing huge science words. 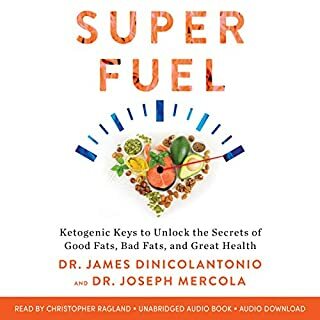 I would have liked to hear the APPENDIX included in this audiobook, since it appears to be a short summary of all the top 10 estrogenics, but I'm still giving 5-starts because the book was so overwhelmingly good. Loved the writing style and the eye opening content. The presentation from the author made it all the more identifiable and real. The only reason I mark down the production was the audio quality was not the quality I normally expect from my audible purchase. The text was clear but between the interruptions of the voice with the twang in his voice and the lackluster EQ on the authors recording I had to make the conscious decision to ignore it. Small things that add up. Once again the content is totally worth it and I’m nitpicking. READ THIS BOOK! It’s information has generational impact when applied to our daily lives. The personal delivery of the information in this book really shows how much Anthony Jay cares. While this is one person's opinion, the number of references show how much time and research went into this book. 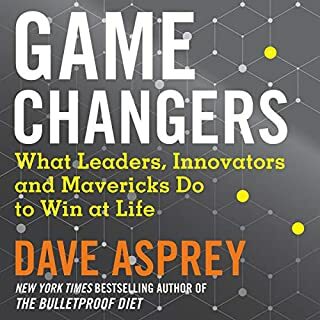 A MUST read, or listen, book. I'll be gifting this to my family and close friends. Thanks Anthony Jay! 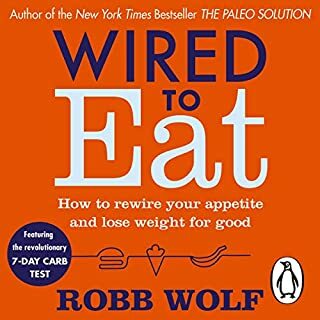 I learned a great deal of useful information listening to this book. Don't go into it thinking you'll be entertained, but rather that you will be sold on the capitalist greed that is poisoning us. you will gain usable knowledge to share.